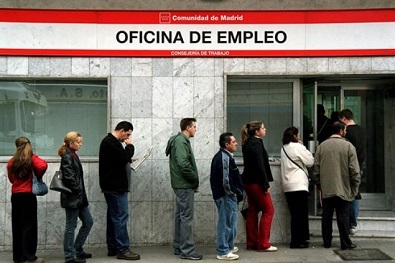 Spain suffered more than most countries following the financial crisis with rigorous austerity measures, escalating public debt, heavy financial reliance on the Eurozone, soaring unemployment and general social, political and economic unrest. Despite that, optimism was never far away for one of the world's most popular holiday destinations with many property investors taking advantage of a crushed housing market to pick up bargains with confidence they would provide substantial returns when Spain finally crawled into recovery. Many economists now believe that right now, Spain is the most attractive destination in Europe for an investment in real estate. With banks offloading assets and the Spanish stock market on the up over the past 18 months, the prospects for one of the biggest losers of the Eurozone crisis have significantly improved and investor appetite is riding high. In 2007, the height of the boom, Spanish real estate and construction accounted for some 18% of Spanish GDP, but the property market has since fallen a long way: a 2007 market capitalisation of over €30bn has shrunk to just a tenth of that level post-crisis. However, 2014 has seen increased activity amongst large equity funds and investment trusts and five real estate investment trusts (REITs) have been listed since January, the largest being Merlin Properties who raised €1.3bn in June. High profile investors continue to get involved in the Spanish property market: George Soros and John Paulson were among those to have backed some of the 2014 REITS although some retail fund managers have been active in Spain for longer periods. 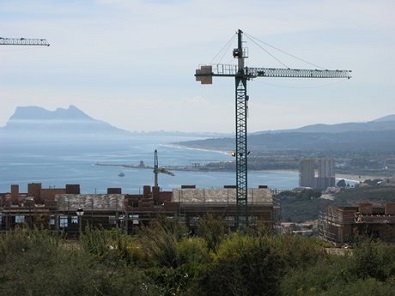 Stuart Mitchell, founder of SW Mitchell, a European equity fund manager behind the SWMC European fund made his first foray into Spanish property in 2012, and he still sees further upside for large construction firms such as Sacyr Vallehermoso. "This company has a development property business but analysts ignored the quality of its book, tarring it with some of the disastrous developments seen on the Spanish costas," Mitchell said. "It was also clear analysts had written off Sacyr's landbank, while we have made 100%-150% since initiating the position, we still see 50%-100% of further upside to reflect a return to normality." Stuart Mitchell also has positions in Spanish banks such as Santander and Banco Popular as part of his play on the Spanish recovery whereas for other investors, the country's banks represent a different kind of opportunity: one being presented as Spanish banks begin to divest property assets from their balance sheets. Dean Tenerelli, European portfolio manager at T Rowe Price said: "We are at an interesting juncture as real estate in Spain has reached a trough since the crisis; rent prices are historically low and there is an abundance of low-cost property on sale". "Banks are now shifting these assets from their balance sheets at bargain prices to meet tougher capital reserve requirements. Consequently, REITS are being established to capitalise on this, ahead of Spain's eventual property upswing." Although companies like Sacyr have seen their share price soar amid recovering European markets, the recovery in the Spanish property market remains at the early stages with many regions still experiencing falling property prices. 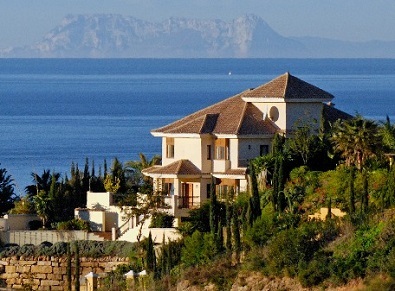 However, just as the country's landscape is diverse, so are regional housing markets and many popular areas such as Marbella and the Costa del Sol generally are enjoying a wave of new interest from foreign investors eager to make a move before prices inevitably start to increase.